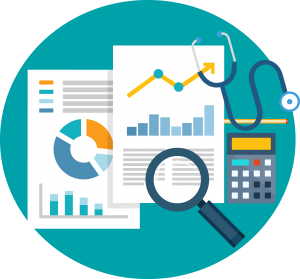 How to Grow Your Practice and be More Profitable – Medical Billing Solutions, Inc.
Are You Wondering How to Grow Your Practice and be More Profitable? You became a physician to heal. You’re great at talking to and examining your patients, diagnosing their conditions and identifying ways they can improve their health. But what about the health of your practice? Do you have what it takes to examine your business tactics, diagnose its condition and identify ways to improve? Are you managing your cash flow and practicing good revenue cycle management? Many physician practices struggle to balance patient care with sound business practice. If you find yourself in this struggle, Medical Billing Solutions, Inc. can help. The first step in determining your practice’s health is to evaluate the status of your accounts receivable. Like many smaller physician practices, chances are you do not have dedicated, knowledgeable staff that are devoted entirely to managing your accounts. You may have missed out on some revenue due to a lack of knowledge or because of errors in timeliness or medical billing. Such errors can add up. It is estimated that physician practices in the United States lose about $125 billion each year due to poor billing practices. No office is immune to this issue, and improvements can be made to your practice. Medical Billing Solutions, Inc. has a great track record for improving accounts receivable. We are an outsourced medical billing service with a history of resolving more than 80 percent of claims within 30 days (as compared with the industry average of 50 percent for family practice physicians). For a primary care physician practice, 97 percent of our clients’ claims are processed, paid and resolved to completion in about 15 days, start to finish. We take pride in our medical billing services and business practice standards, and have implemented numerous steps to ensure your claims are as accurate as possible and adhere to correct coding, payer billing guidelines and regulations before they leave our door. This greatly reduces the potential for lost income due to timeliness and billing errors, while also increasing revenue flow. In addition, the quicker turnaround time provides a more stable, steadier cash flow, allowing for better financial freedom and the potential to grow your practice further. It’s probably safe to say that you’ve made plans to grow your practice, but you’ve not yet been able to put those plans into action. You may struggle to find creative ways of implementing some great new ideas, or may need to make changes, but lack the time or the resources to start. Medical Billing Solutions, Inc. has helped many clients achieve the financial success they struggled for by minimizing their potential for missed revenue and maximizing their collections to their fullest potential. 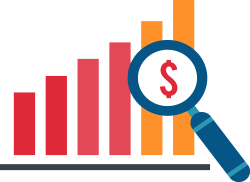 Most clients realize a 10 percent or greater increase in their collections from that of their in-house billing staff or other off-site billing organizations. The industry average for unpaid claims more than 90 days out is 20 percent for a typical family practice physician’s office. 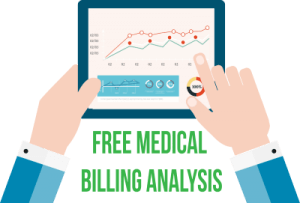 Medical Billing Solutions, Inc., has an average of 5 percent of unresolved claims due to our attention to accuracy on first-time submissions. Such accuracy ensures that your claims are processed faster and paid quicker, which means you are able to focus on patient care and implement improvements or new ideas, or even change things up in order to increase your services and grow. So what are you waiting for? Contact us today for a free practice analysis. Let us help you grow your practice and your profits, and help you stop missing out on a wealth of potential revenue. It only takes a phone call or an email to take that first step toward achieving your goals for a better practice.